Wichita State’s final day in Carbondale as a member of the Missouri Valley Conference will not be remembered fondly. 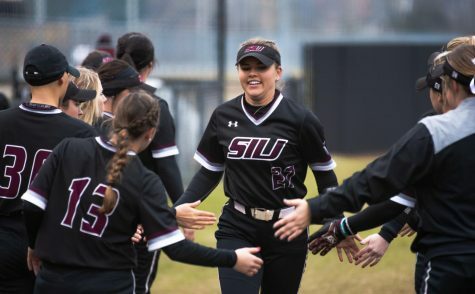 Saluki softball launched four home runs throughout the day to sweep the weather-shortened series with the Shockers, winning the first game 3-2 and the second game 5-4. 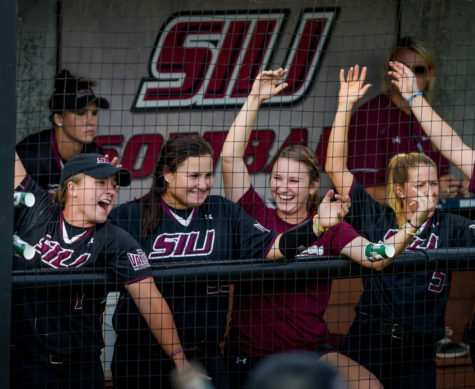 The two wins move SIU (25-21, 12-7 MVC) into a tie with Wichita State (27-17, 12-7 MVC) for third place in the Valley, with SIU now holding the head-to-head tiebreaker. 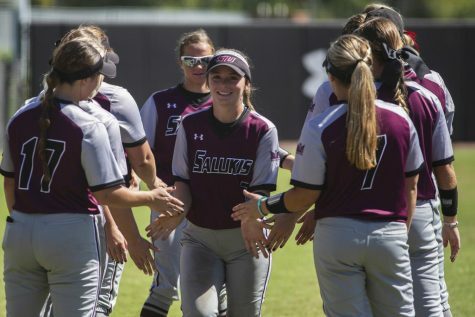 Game one quickly became the Merri Anne Patterson show for the Salukis. 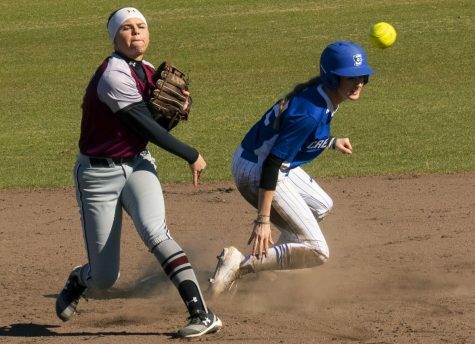 The senior centerfielder hit her team-high tying sixth and seventh home runs on the season in her first two at-bats on the day to give her team a 2-0 lead early. This continues a career-long trend of Patterson tormenting the Shockers. After Sunday, she is batting .429 (12-28), with six home runs, 15 RBIs and 12 runs scored against WSU in her career. “Me and my mom were talking about it last night,” Patterson said of her success against the Shockers. “I knew going in I had hit a home run off of them [every year] since my freshman year. I think they’re our biggest rival in our conference and we were just locked in in practice this week. Shortly after the second home run, SIU took advantage of the first Shocker error of the day when junior Haley Andrus brought home another run to extend the lead to 3-0. 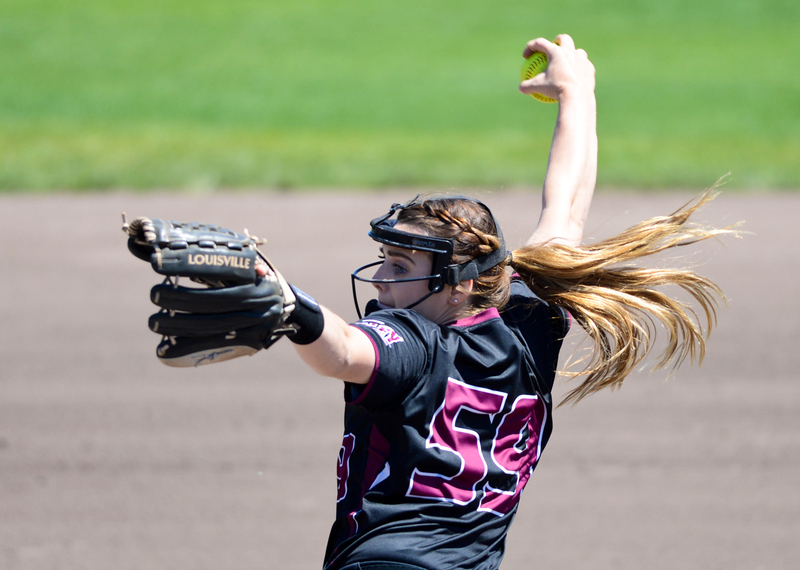 Meanwhile, Saluki starting pitcher Brianna Jones was dealing through the first six innings. 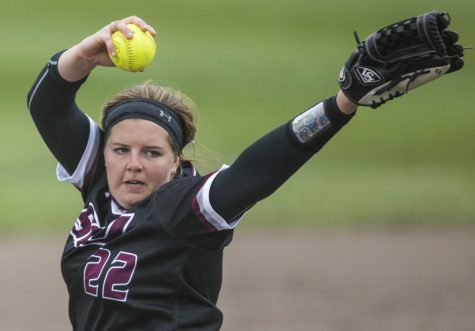 In that time, she held Wichita scoreless, allowing just three hits. 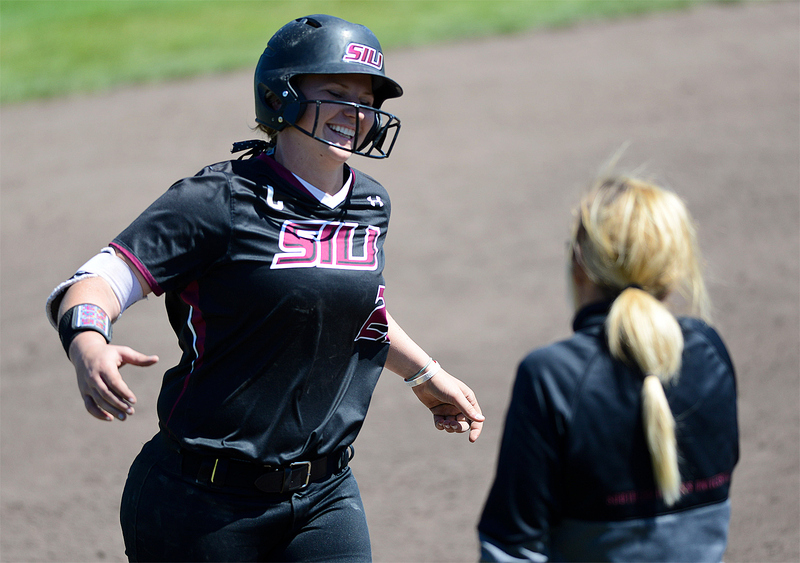 It wasn’t until the seventh inning that WSU made it interesting after sophomore shortstop Laurie Derrico hit a two-run home run to cut the Saluki lead to one. 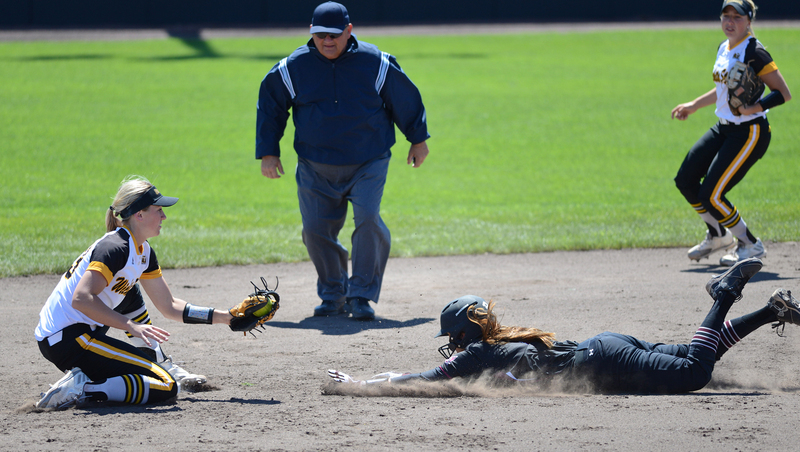 The Shockers got the tying run on base after a Patterson error, but couldn’t get her home. 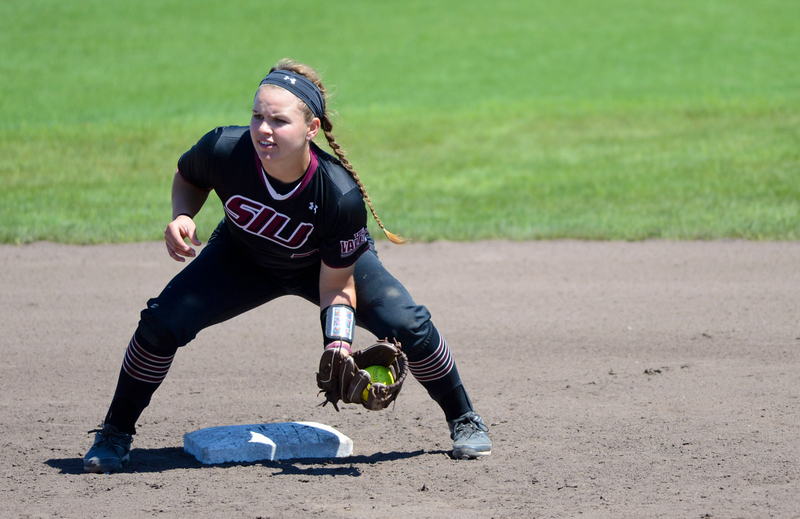 Game 2 saw much of the same for the Saluki offense, just from other players. 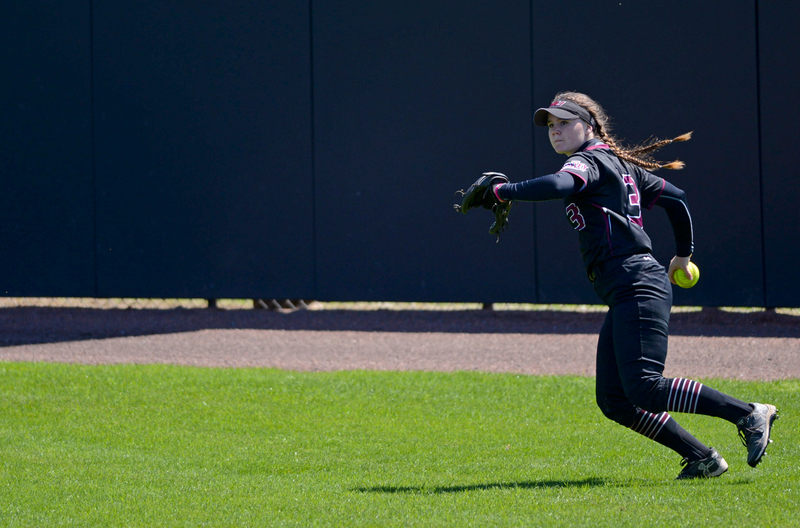 The first run came off the bat of Patterson again, though, as her sacrifice fly scored sophomore left fielder Eyrika Brandenburg to give SIU the lead in the first inning. 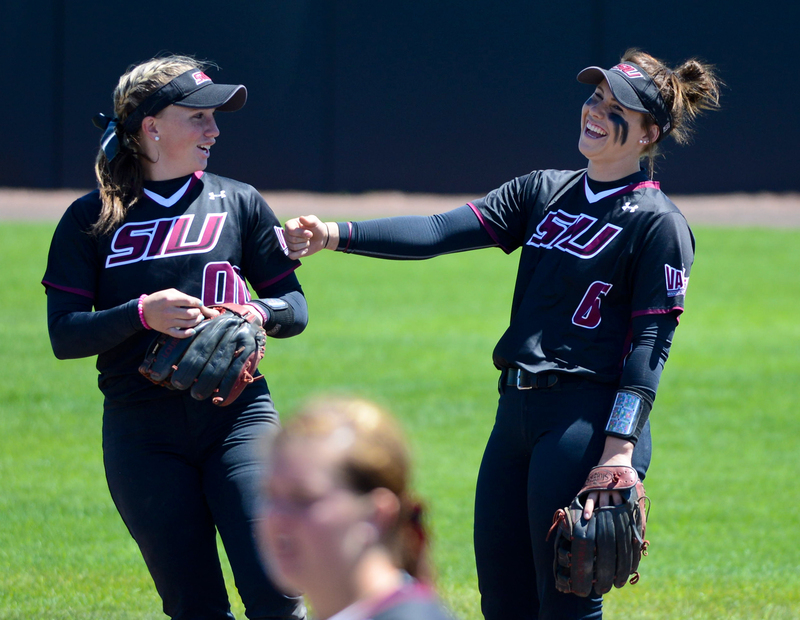 SIU’s lead doubled in the second after its third home run of the day, this one off the scoreboard from junior third baseman Sydney Jones, her seventh of the year. 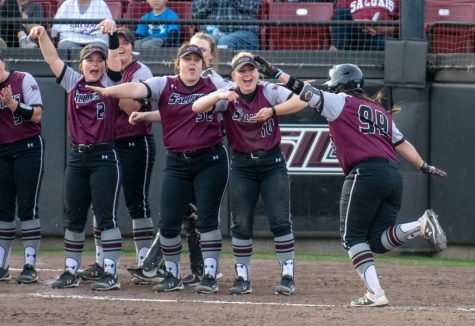 That sentiment rang true again after WSU tied the game at two in the fifth, when senior first baseman Shaye Harre matched Jones’ scoreboard shot with one of her own, a three-run shot that hit even higher on the board. The single-season walks leader said she goes up trying to take advantage of her limited opportunities. Wichita State once again made it interesting in the final inning. Junior third baseman Mackenzie Wright hit a home run, followed by an RBI single from Derrico to cut the lead to one once again. However, Jones would come in and get her seventh career save to preserve the sweep. 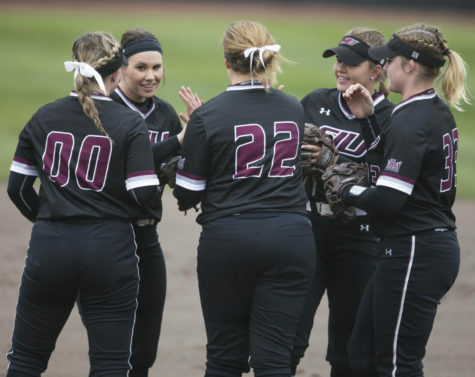 SIU will play a pair of midweek games this week, starting at 4 p.m. Tuesday against Evansville at Charlotte West Stadium and again at the same time Wednesday at Murray State.